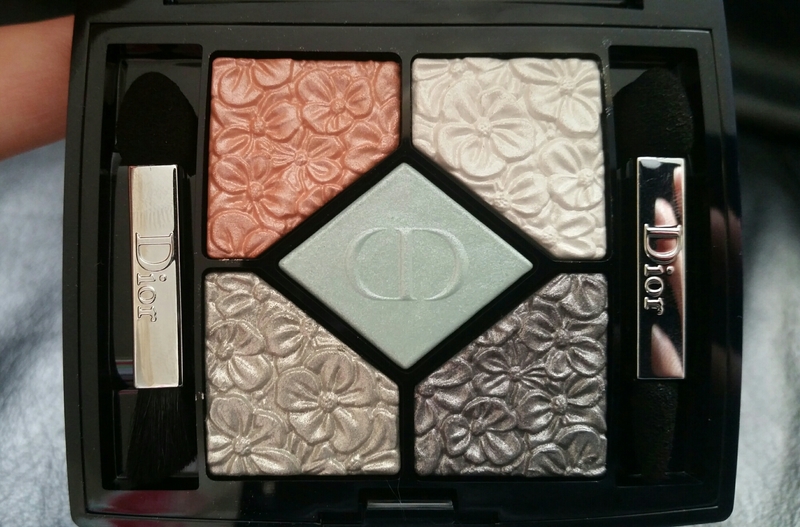 I received this beautiful Dior eyeshadow palette as a Valentines gift. 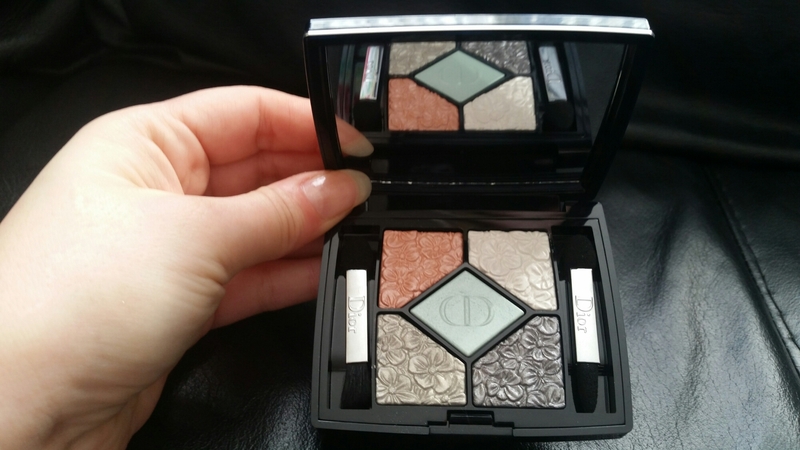 Dior released their Glowing Gardens collection for spring, which includes two eyeshadow palettes, of which I have the Blue Garden set. 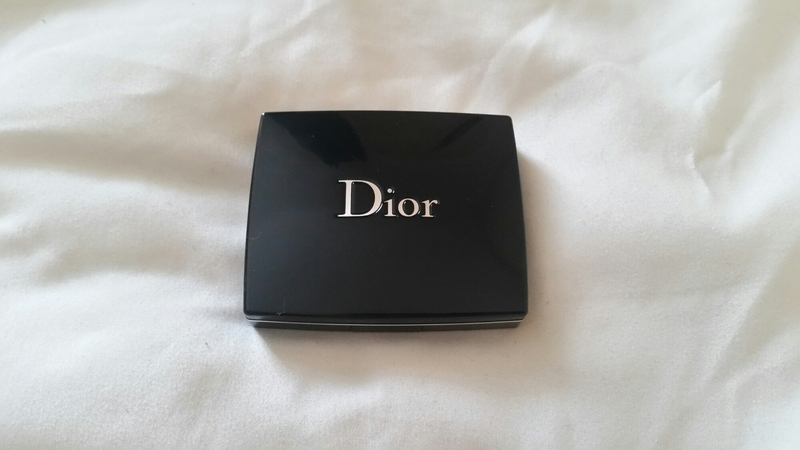 Starting with the packaging, it’s classic Dior style, with a shiny black plastic case housing the eyeshadows and a small mirror. I would say the packaging is more streamlined than it used to be, making it less bulky to carry, but it does feel a bit more flimsy than before. Inside the set is five eyeshadows, as well as two small brushes. I know a lot of people hate the sponge style applicators like those in this set, but I’ve found that they work well enough. On one of the double ended brushes is a synthetic brush, which also works well. Moving on to the eyeshadows, the Blue Garden palette contains easy to wear silvers and metallics, compared to the Rose Garden set which holds acid bright shades. 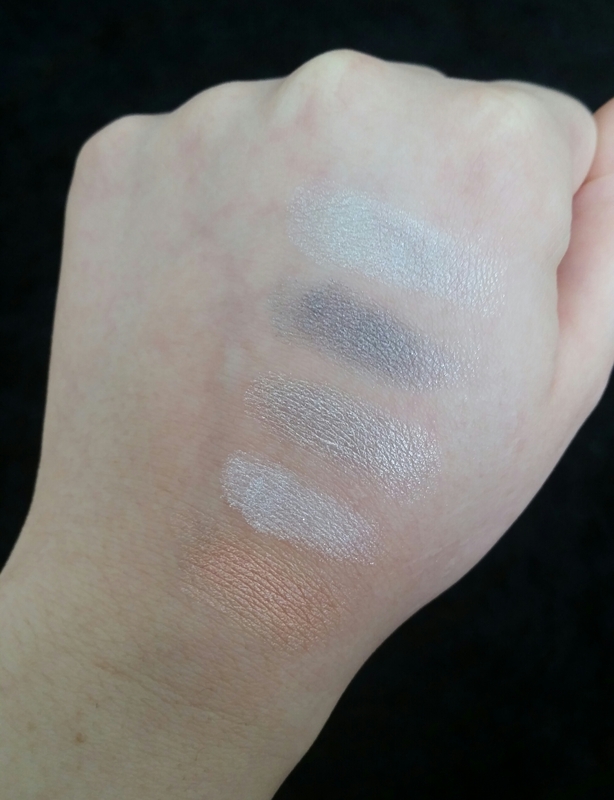 Below are swatches of all five shades. As none of the colours in this set are named, I’ll start with the top left shade which is a very soft peach/pink, that is just gorgeous for spring time. I’ve been using this colour loads as it’s very subtle and pretty, as well as looking light and airy for this time of year. 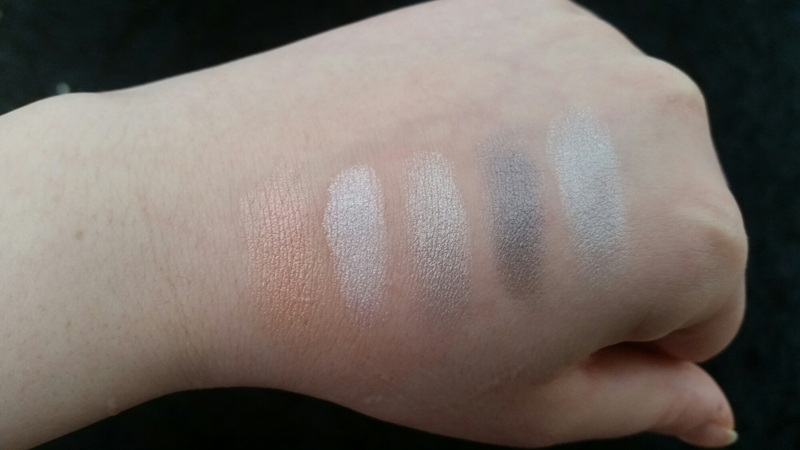 Top right is a cool toned, frosted white that has good pigmentation and looks lovely worn on the eyelid. It can also be used on the tear duct to brighten up eyes. The middle shade is a frosted light blue, that again has good pigmentation, but I do find this a bit too similar to the frosted white. However, I do love both of these colours. Bottom left is a light metallic silver and I really love this shade. I’m not always too fond of greys, but this is a very flattering colour that isn’t too dull nor too metallic. And finally, bottom right is a medium-dark grey, that again has a slight metallic look to it. This is another very flattering colour, that will work well for most people. Below are two photos of me wearing all five eyeshadows, to show two different looks that can be created using this set. When it comes to the formula of these eyeshadows, they are quite powdery, which I find typical of Dior. 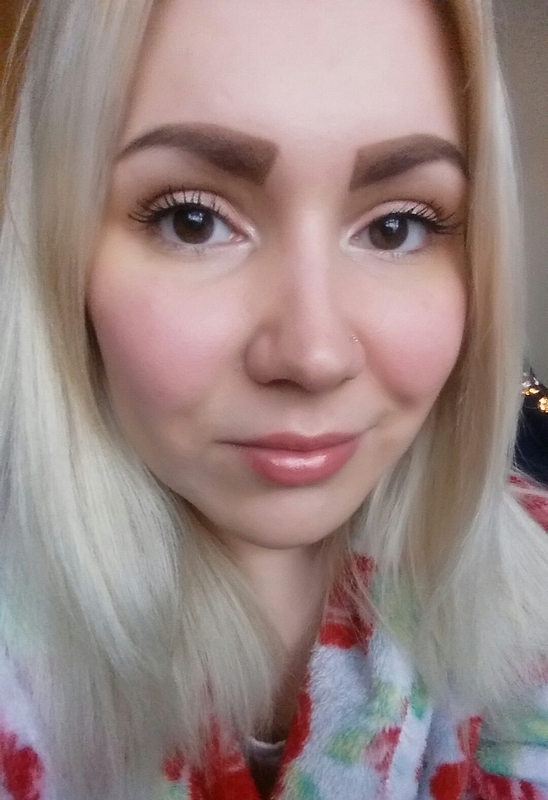 I use a primer on my eyelids and it prevents any fall out or fading. The pigmentation of many of the shades is not strong, but I found that after applying a couple of layers, a good colour can be built up. I find these minor issues for what is a great palette. So my overall verdict is that I love this eyeshadow palette! Not only is it designed beautifully, but I love every single shade in this set. There’s lighter spring/summer shades, frosted colours and darker metallics. 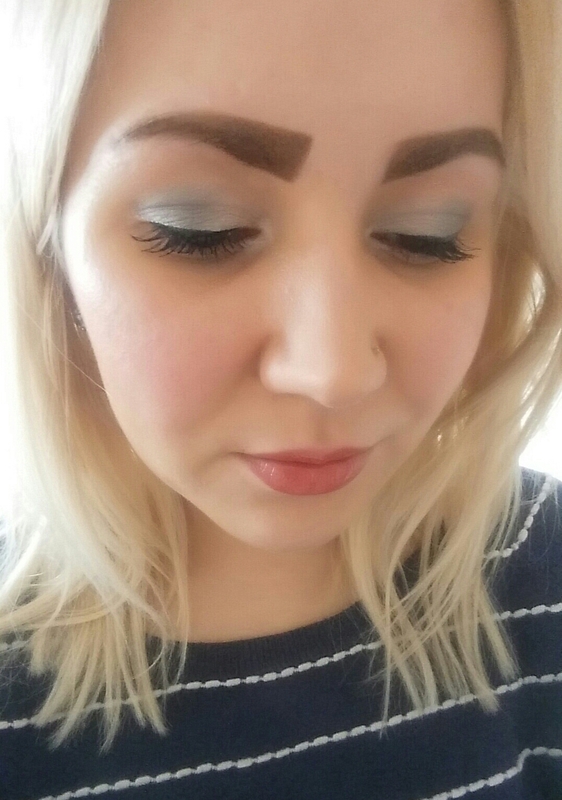 I would definitely recommend Dior’s Blue Garden eyeshadow palette. 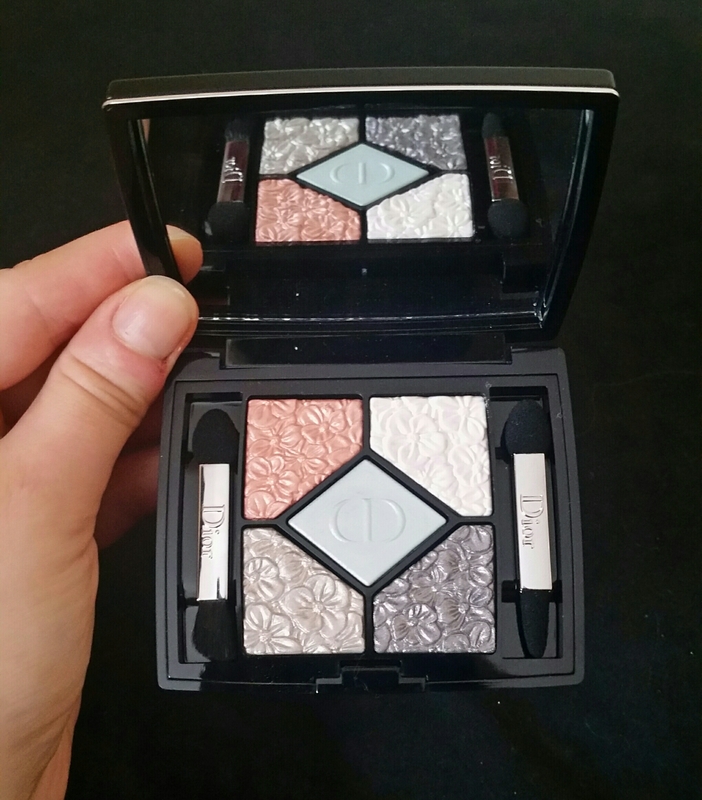 Let me know if you’ve tried any of Dior’s spring time collection. Those colours look gorgeous on your skintone! Awesome shades …..do check my blog and follow me if you like…. What a lovely Valentine’s Day present! I haven’t tried any of their shadow and I’m not entirely sure if they’re worth the money. The looks you did with the quint looks really nice though – very Spring-y! The palette looks beautiful. Love the embossed flowers.